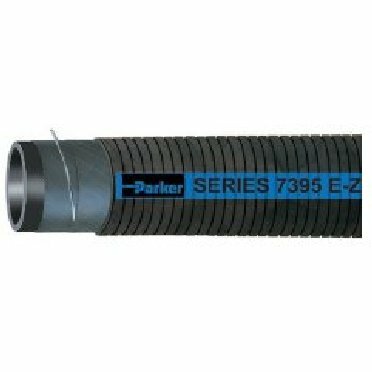 Black SAE J20R2-D1 Performance general service hose. Hose is extremely flexible and lightweight for low pressure applications. Designed to handle air, coolant, mild chemicals and water. Wire Helix provides full suction/vacuum capability and a path to conduct a static electrical charge to ground. Superior kink resistance and maximum flexibility for ease of handling. Cover resists abrasion, mild chemicals and heat and ozone.